natural renewable resource and a great way to age wine. But while cork is a great closure it has potential to develop cork taint, a bacteria in the cork that can change the aromas of wine from fruit to wet dog or damp basement. From an ecological standpoint, real cork is better as it is a renewable resource whereas metal is not. 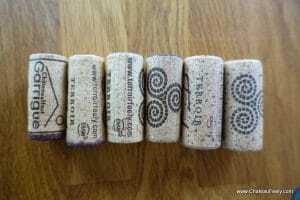 From a health standpoint, having your wine in contact with cork is better than having it in contact with the plastic liner of a screwcap, which can leach plastic components into the wine. For long-term storage, cork wins based on this factor alone. Screwcap has been gaining ground on traditional cork for many years. The UK market screwcap share is significant -well over 50 per cent, partly due to supermarket buyers demanding it from suppliers to avoid the cork taint problem. In New Zealand and Australia it has reached around 90% of the wines bottled- NZ and Aus were shipped bad quality cork in the 80s and 90s and had so much cork taint that they had to find an alternative solution. I totally understand. The disappointment when you get a corked bottle and have not got an easy way to get a replacement from the entity that sold it to you is horrible and worse if it was an expensive bottle. So what do we do to avoid cork taint given we prefer natural cork? We use corks that are guaranteed no cork taint by a patented process called DIAMANT®. From this year we use their DIAM Origine® made from cork that has been treated by their patented process then reconstituted with a beeswax emulsion and 100% vegetable ‘polyols’ and guaranteed for at least 10 years of aging (that is 10 years from when we bottle – most of our reds are bottled 3 years after vintage so this gives you a aging potential of at least 13 years on the reds). The first cork in the line-up on the photo at the top (Garrigue the old name rather than Feely on it) is Resonance 2006 that was bottled in 2008 with a DIAM cork based closure. It has 9 years since bottling and 11 years since vintage and is still going strong. While DIAM origine cost a lot (about 3 times what a screwcap would cost) we think it is worth it for the health and the aging of our wines and for the ecological aspect which ties in with our organic ethos. 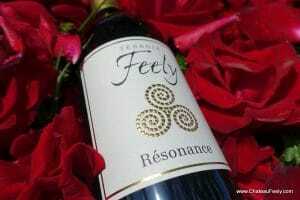 You can buy all our wines including resonance online for shipping in France and most of the EU. 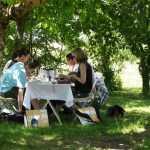 Learn more about wine with out Wine school or read Caro’s books Grape Expectations , Saving our Skins and latest book Glass Half Full and the story of building an organic vineyard or Wine the essential guide to tasting and more to learn more about wine. Join our mailing list at the bottom right of the homepage to stay up to date with our news. Let me know if there are any wine, wine pairing or organic farming topics you would like to see blog posts on. I will post on the why our white wines like luminosite are in dark bottles in a couple of days.